You may not know anyone going back to school, but the community effect will be the same: a burst of highly communicable diseases. Kids, with their weaker immune systems, the stress of change, and the cooling weather all come together in one building to germinate diseases. Now is the time to prepare for it with immune supporting colloidal silver! It is, and isn’t, new. Back-to-school has always meant a few kids picking up easily shared illnesses like colds, or even parasites like lice and scabies. What’s different these days is that there are more viruses. Ask a teacher, doctor, or seasoned parent: more kids are coming down with viral illnesses (like roseola), they’re getting more colds in a single year, and RSV and other respiratory illnesses seem to be more common. Head to the doctor, and they’re getting tested for more serious diseases like whooping cough, MRSA, and even tuberculosis. 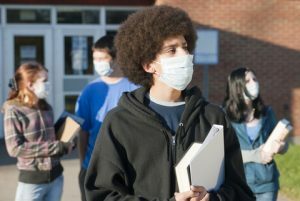 Changing weather, more crowding in schools, and germs that are harder to clean/kill off the equipment in the school gym contributes to the growth and spread of disease. More travel means things spread more easily. And it isn’t a class problem: more money to travel, more contact with others, and these highly communicable diseases spread everywhere. The people most at risk are those with weakened immune systems. Time in the hospital (where overuse of antibiotics leads to the development of antibiotic resistant diseases), age, gastrointestinal troubles, and chronic illness all contribute to having a weakened immune system. With the incoming flux of illness to the community, now’s the time to make sure you’ve got extra support. Supporting the basic pillars of good health like rest, good nutrition, and exercise help support your immune system. You can get an extra layer of support from a supplement like colloidal silver. Colloidal silver has been used as immune support for centuries, and is being explored for more modern uses. Take advantage of the extra support as the first wave of a more germ-y season hits this month. Previous post: Curcumin for Glaucoma?